Knowing the market and rules to public finance is critically important in efficient planning and execution of projects. With Jackson, MS, practice Owen Moss, PLLC, on your side, you can have confidence in knowing that an experienced public finance attorney is representing your best interests. We can assist in compliance with relevant regulations and counsel your business on innovative financing structures for public infrastructure projects or private projects eligible for tax-exempt financing. Learn more about our complement of legal services for participants in the municipal securities market by contacting our firm today. There are hundreds of laws relating to public finance, which encompasses any law that creates a public service or good that is paid for through tax revenues. Public finance law regulates the financial activities of public sector organizations and the government regarding the funding and administration of specific governmental activities, such as the purchase or sale of bonds, or funding for municipal, state, and federal elections. Virtually every industry in our country is affected by public finance law, particularly aviation, public education, transportation, land development, health care, utility services, and public housing. The two main types of public finance law are public disclosures and bond financing. Public finance bonds include general obligation bonds, private activity bonds, and revenue bonds. Given the wide range of industries, disclosure requirements, bond types, and players in public finance projects, it is crucial to have an attorney who can provide you with the knowledge, versatility, and creativity for financing needs, and assistance with federal tax law. A public finance lawyer from our firm can offer counsel to financial institutions acting as trustees, liquidity providers, credit enhancers, and institutional purchasers, and advise real estate lenders and developers on tax-exempt financing. Other key legal services may involve structuring complex transactions or representing clients dealing with the IRS Tax-Exempt Bond Office. Legal advice and guidance in these ever-evolving areas of the law are highly advantageous, and even necessary in many instances, for profitable ventures. Bond counsel: Our lawyers can negotiate bond covenants, advise on legality and tax-exempt status of securities, and prepare bond proceedings. Disclosure counsel: We can provide counsel on primary offerings disclosure, and assist with ongoing compliance issues. Underwriter’s counsel: Our attorneys can provide representation in public and private offerings, competitive bids, and disclosure and compliance. Trustee counsel: Our firm offers a range of trustee services, including assisting in developing and assessing processes, and representing trustees in a variety of types of financing transactions. Bondholder Counsel: We can assist in navigating the complexities of bondholder strategies, inclusive of capital recovery on behalf of bondholders in the event of a distressed project. Our experienced team offers decades of experience and personalized attention to help you move forward with your goals and protect your investments and projects. 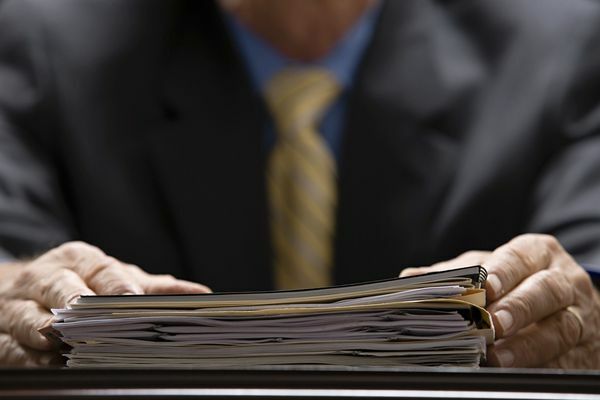 Our corporate law attorneys can add value to your project and long-term financial strategies. Reach out to us online or call us today at (601) 352-8443 to receive experienced counsel focused on your best interests.